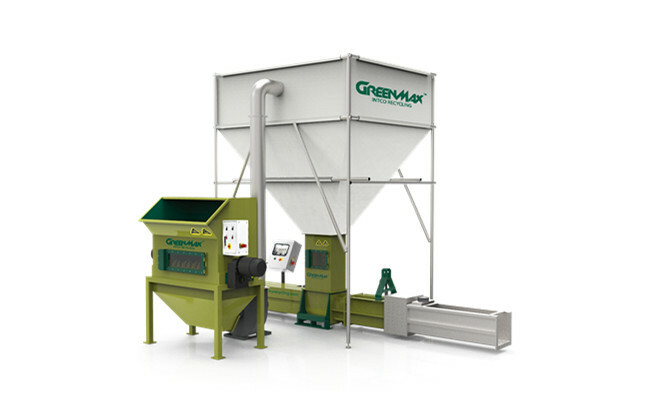 GREENMAX ZEUS C300 compactor could smash waste polystyrene and polyethylene foam into pieces, then smashed foam can compacted and extruded from ZEUS compactor discharge chute. At the same time, the surface of compacted polystyrene will be melted. Thus, the melt foam surface could prevent compacted waste foam being scattered again. The melting function makes the surface of the foam hard like a stone, so that it can save much space and reduce the cost during transportation. In addition, the whole processing process is environmental friendly with little pungent odor. It is absolutely simple and safe.